One of our most intrepid early customers is Chris Brady, who pioneered the arrival of Faraday in Idaho (You can now find them at the fantastic Boise Electric Bikes) and has been a strong Faraday advocate ever since. Chris had that pioneering spirit from an early age. She left her birth city of Detroit after college and moved to Salmon, Idaho for seven years of “back to the land” in a one-room cabin and all that goes with it, before moving to Boise to work for the Idaho State Historical Society. When not cruising on her Faraday, Chris makes and sells aprons at the Boise Capital City Public Market and gets back out to the land while pheasant hunting with her English Springer Spaniel. She has two grown kids: a son who now rides his dad’s classic 1990 Specialized Stumpjumper and a daughter owns a bilingual (French-English) daycare in Portland, OR – which happens to be the ancestral home of the Faraday! Tell us about your earliest biking memories. A winter birthday meant getting my first two-wheeler + training wheels while snow was on the ground, and the first shaky ride inside the house brought me to edge of the abyss of the staircase, shrieking in terror for my parents. 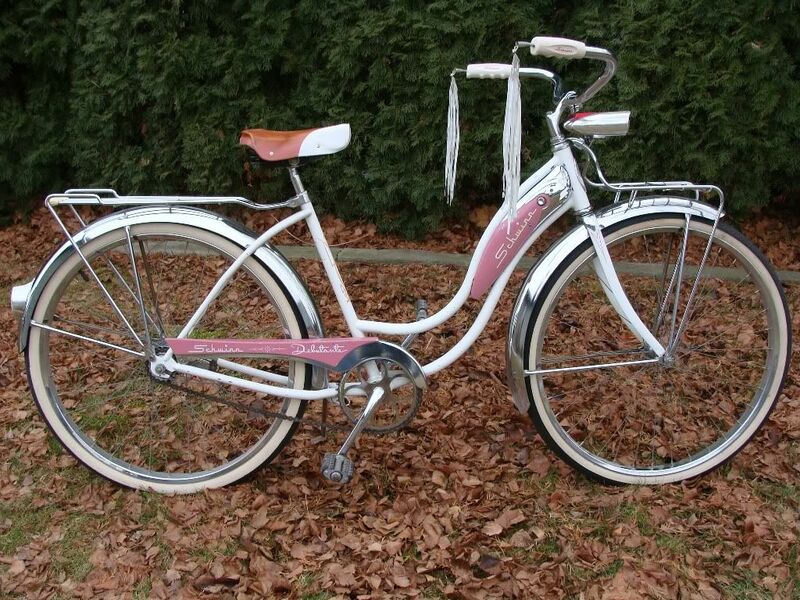 Better memory: getting my first “big” bike, a 1961 Schwinn Debutante with built-in twin headlights and a horn operated by batteries held inside the frame (precursor of an eBike? ), nifty front and back racks, and lots of chrome. Notice any similarities? 😉 I think it subconsciously set the standard for what I expect in a bike – beauty and functionality. What do you love most about biking? Freedom from traveling via streets. I will always choose a bike path or a sidewalk or even a downtown alley over a busy street. I also enjoy really seeing and experiencing the outdoor scene. Biking home today for lunch, for example, I was able to observe a killdeer more closely than I would have from within a car. Last night I rode to the grocery store along Boise’s fabulous Greenbelt, experiencing the sights, sounds, and smells of the trip right along the Boise River—again, not something that happens in a car. Bikes make getting there so much more interesting. What got you interested in electric bikes? I had an EVGlobal when they were first released—when was that, late 1990s? I was thrilled by the combination of biking and ease. In the 10 or so years since my EVGlobal petered out, I’ve constantly been on the lookout for something to replace it. That meant hunting up eBike shops in the cities I visited and taking test rides on many different brands of eBikes. How did you come across the Faraday Porteur? I learned about Faraday in an online search, and was so tempted to order one in your first run, but I felt I just had to try it out first to be sure. Other bikes had sounded good when I read about them, but the test ride always disappointed, and I’d leave the shop still longing for a bike that would delight me. Better yet, the smooth application of power to the wheels, the silence of the motor—these were better than any of the other bikes I’d tried, and of course there is NO prettier eBike made than the Faraday. The leather accents, the frame design, the elegant and serviceable carriers, the sophisticated color schemes—you got everything RIGHT. What are you doing most on your Faraday? General errands for life and work, which feel more like recreation than drudgery when done with a Faraday! Grocery-getting is particularly easy with both the front and rear racks, and I hang a “grocery bag” type bag off the rear, and load up the front with a small picnic basket as well. (Parking a bike at the grocery store—right by the front door—is less frantic than their busy parking lot, for sure.) Another advantage is the ease of getting right to the center of big, public events which is impossible to do with a car. If a neighbor were to ask you about a Faraday, what would you tell them? I would talk about the incredible fun of biking with less effort, and point out the slick other features, like the belt drive, simple interface, and the smooth and silent motor. Everyone can see the beauty of the bike, of course. I’d also tell them about its award-winning beginnings and the successful Kickstarter campaign to fund it. I’d point out the various origins of the components (people always chuckle at the Swiss kickstand), and the best one of all: American creativity to think it up in the first place. I thought it was funny to pass a couple on a tandem bike, with four legs pedaling like mad, and say to them sweetly as I pulled away, “You are being passed by an electric bike.” Another one was delivering a homemade rhubarb pie to Heidi and Mike at Boise Electric Bikes—that front carrier is perfect for pie deliveries! I am just so appreciative that you brought such a splendid product to market, otherwise I’d still be pedaling my old Giant and searching for the best eBike. What if the American city most known for its car culture became a cycling mecca? Imagine miles and miles of protected bike lanes, letting you skirt the traffic of the 10 and 405 so you can get from Hollywood to the beach in half the time - and with none of the pollution.